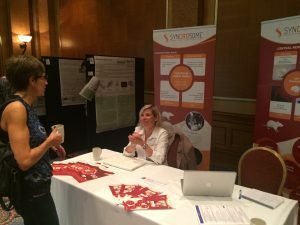 Syncrosome, participated last week to the Neuroscience R&D Technologies Conference in London, to present key Parkinson’s data. It was 2 very interesting days spent to discuss about the new advances in Imaging of Neurodegeneration, Alzheimer and Parkinson’s Disease and Drug Discovery, New trends in Preclinical animal models and Neuroimaging…. 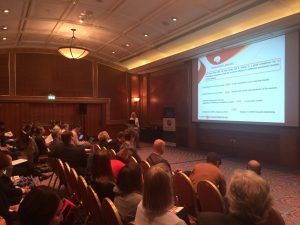 Our Scientific representative, Sandra Robelet, launched a talk on the new preclinical strategy combining in vitro and in vivo models to assess the drug efficacy of your compounds in Neurodegenerative disease and interacted with Pharma and Biotech’s companies from all around the world. This talk has been very appreciated from the audience due to the continuation between in vitro and in vivo strategies in Parkinson disease. An other interesting point discussed, was the CNS-PK tools (CSF sampling and Microdialysis with the monitoring of Neurotransmitters) that could complete the response of in vitro and in vivo disease models with a biochemical approaches of the disease. Contact us if you want to read the presentation or discuss with us directly!